Understandably, getting naked with a bunch of strangers for the first time, especially when it is not part of your culture or something that you are not accustomed to, will be difficult. Some of your fears may include being exposed and judged. I assure you this has never happened and will never happen. Japanese people are exposed from a young age to this culture, which has been a part of Japanese tradition for hundreds of years. Bathing naked with strangers or friends is so natural to them that it could be compared to them going out to the movies together. Everyone is there to enjoy the bath/movie and the only thing that they will talk about afterwards is the hot spring/movie, not what people looked like or what they were doing. The baths are also separated by gender and well hidden so there is no chance of you being seen by non bathers. Think of going to the onsen like going to the movies. careless about who is there and what they look like. In Japan there is a saying, “Hadaka no Tsukiai” literally means a “naked relationship” or better in English “open relationship”. Here it means to have an association between people without being tied to their status or title, everyone is the same when they are naked. You are all in the same boat or tub and everyone is just as exposed as the person next to them. There is an unspoken rule that you respect each other and accept each other as they are. Just by immersing yourself in a bath together, the distance between each other becomes much closer. So, if you are looking to enhance your relationship, by all means come to Kinosaki Onsen. By the time you finish the rounds to all seven bathhouses you will be the best of friends. While in Japan this is one of the top two or three cultural experiences you must have before you go home. If you don’t you are really going to regret it later. And where else is better than Kinosaki Onsen, Japan’s top onsen (hot spring) town? Nowhere! There are two legends of how Kinosaki Onsen began. One tells of the emperor Shu Ming finding a stork healing its wounded leg in the waters about 1400 years ago (around 629). The waters then became the source for “Kono Yu” bathhouse. The other story talks of Saint Douchi, a holy priest who came to the town about 1300 years ago (around 717) and sung 8 mandala for 1000 days to save the town’s people from suffering. Legend says that his prayers caused water to spring forth and that source is said to be where “Mandara Yu” bathhouse is now. Oh, did I mention that the Onsenji Temple, the guardian temple of Kinosaki Onsen, was opened by Saint Douchi as well? 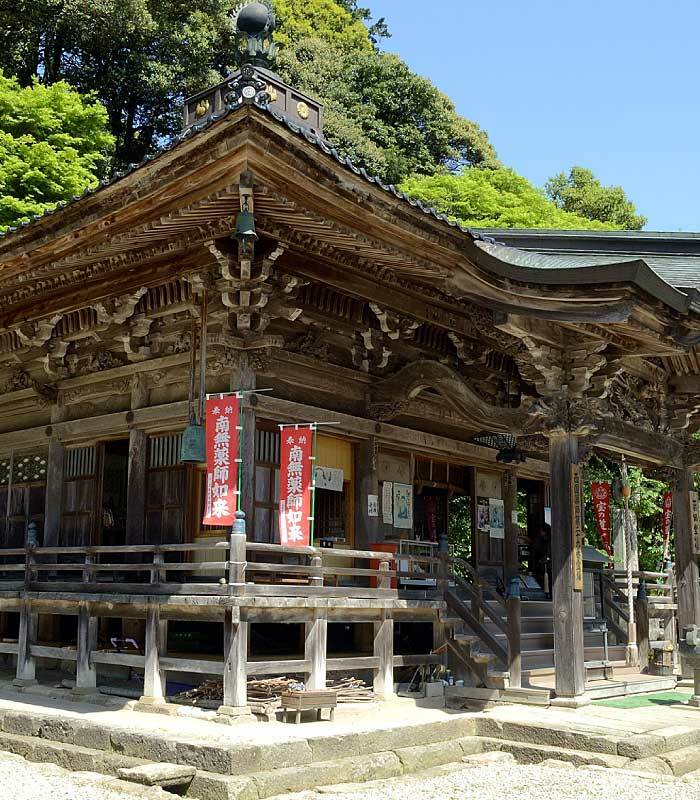 If you make reservations in advance it is possible to take a tour of Onsenji Temple and see the “Onsenji Dependent Arising Diagram” which was drawn over 300 years ago as well as here more about the history of Kinosaki Onsen. And also, there is a Buddhist statue that is normally hidden from public view located inside Onsenji Temple. Normally only the face of this statue can be viewed every year on April 23rd and 24th during the Hot Spring Festival, however every 33 years the entire statue can be viewed by the public for a duration of 3 years and this will be happening this year (2018) from April 23rd for 3 years. Again, this only happens once every 33 years. This means the next time this happens I’ll be 72 years old….hopefully I am still around to see it! Ah well, anyway, here you can see that Kinosaki Onsen has a very looooooong history. For us of Kinosaki Onsen, hot springs are indispensable. Even when the town was burned down due to the Great Northern Tajima Earthquake of magnitude 6.8 that occurred in 1925. With the belief “As long as the hot spring waters spring forth the town of Kinosaki Onsen will flourish” the public bathhouses (soto yu) were the first to be restored during the reconstruction of the town. In 1972, in an effort to protect the hot spring resources a centralized piping management facility was completed. Here in Kinosaki Onsen, the size of the on premises ryokan community baths (uchi yu) are limited by ordinance to the number of people the inn can accommodate. This is why the baths (uchi yu) of ryokan are never very big. And the reason for this is because the town was built on the premise that there are bathhouses outside of the ryokan (soto yu). 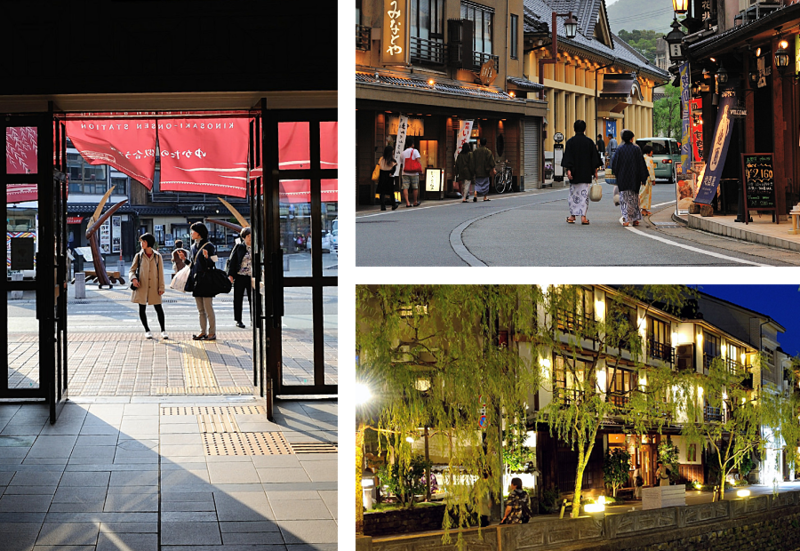 The people of Kinosaki Onsen see the town as one singular ryokan. With the station representing the entrance, streets the corridors, ryokans the rooms, public bathhouses the baths, and shops the inn’s kiosk. The town’s people are then the employees of the same ryokan. This spirit of “coexistence and mutual prosperity” has been carefully passed on and even I have inherited it. There for guests who check in are then promptly sent out again and told “Please go out and enjoy the hot spring town ”. What’s the Best Way to Enjoy the Soto Yu? The temperature of Kinosaki Onsen’s hot spring water is about 42 degrees, that is considered somewhat hot. Among the 7 “Yanagi Yu” is going to be hotter than the other six, and by hot I mean hot. (I think it’s good for a soak the day after you’ve had too much to drink or just want a change of pace.) Also, there are baths that are favored by the locals which they call “uchi no furo” or “my bath”. When I was a kid mine was “Gosho no Yu” (since then it has changed and been renovated), but now my favorite is “Kono Yu”. With “Kono Yu” I feel that it has the feel of its original old-style atmosphere and is where I can relax. 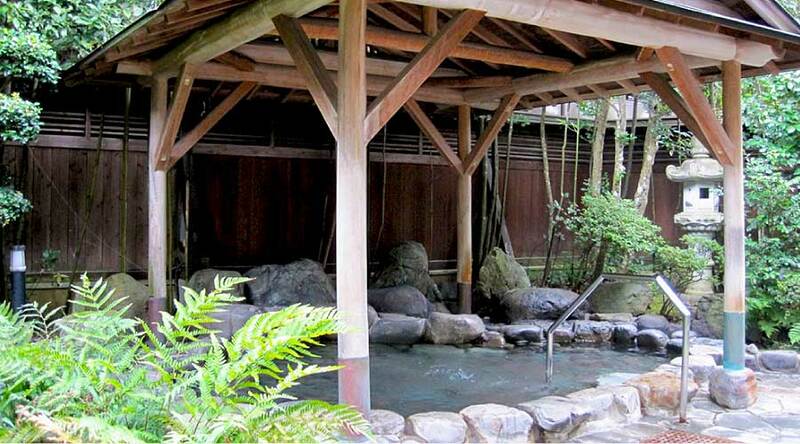 Kinosaki Onsen’s hot spring water has sodium, calcium-chloride and is of high quality. After a soak and even after you have cooled down your body will still feel warm and you will find you sleep better, or at least I do anyways. But, anyways, the important thing is that you jump right in, get naked, have a soak and relax. Think about having fun and not about being naked.